Play doesn’t have to be expensive and it does not have to involve lots of batteries. plastic, trends and screens. An unplugged childhhod is a very good thing indeed and learning to use and have fun with materials in the world around us is so good for tboth our imagination and for the environment. Simple nature crafting is something very special and a key imgredinat to a thrifty and fun family life. Do you nature craft? Nature play is fabulous! Have fun. A huge thank you to the lovely bloggers who have allowed me to use their photos. Pls ask at the original source if you ever wish to use someone’s photo. *grabs bag and runs out into the woods* ! Actually Mummy… recently posted..Brilliance in Blogging: How did it come to this? Oh goodness, yes! Where would we be without sticks?! My boot is always full of them and we have made SO many things out of them inculding most of the above – not the wind chime though, thanks for that inspiration! Great round-up of ideas. We love nature play! Love these ideas. I will have to do some of these activities with Amy. She loves collecting sticks and rather than throwing them out, we could get creative with them. really cool things! i need to go and get some for me and my eldest to play. otilia recently posted..I want a real wand mummy! older mum in a muddle recently posted..Groove is in the words… (a big thank you). We have been out in the woods this week and stick offer so much to little ones. We counted, ordered in size, played, built, pointed and just held. You have put together some fantastic ideas here, thank you. What a fantastic post! I’m so totally going to show this to LMC in the morning and hope that it inspires some of her play this weekend. 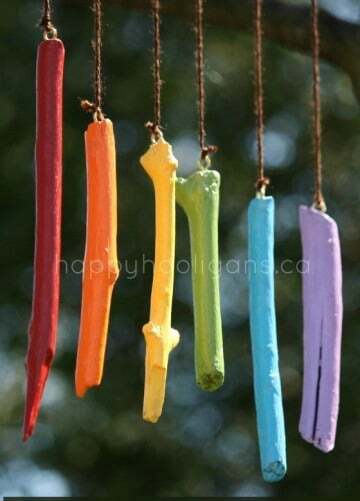 And the wind chime is gorgeous! 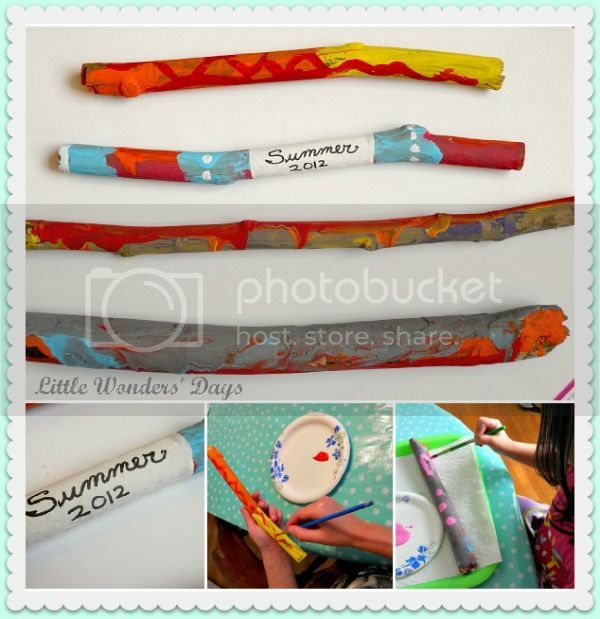 What great ideas – I love the idea of painting them – my boys would love that. Very cool ideas, loving the stick men! Haha, those stick people are so CUTE! I am guilty of throwing sticks in the garden bin that Oliver brings home from walks, might have to recycle some of them. My little boy can’t go anywhere outside without coming home with a stick or two. We’ll be sure to check out these lovely ideas.